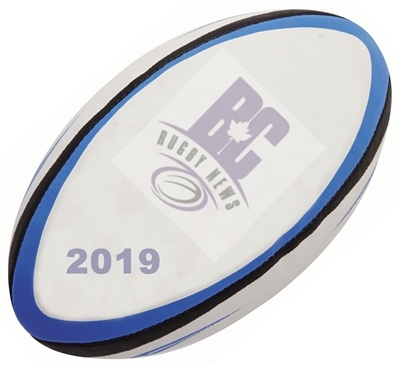 The Ravens had to work for their bonus point and just reached the four tries while holding Nanaimo to one. That result ensures their 3rd place finish and a QF match hosting Seattle Saracens. We'll await Peter MacDonald's report for more details. Ravens going into the playoffs looking strong, they need a BP win to ensure a visit from the Seattle Saracens next weekend in the QF. There's also the long shot that UBC stumble against Lomas and a QF bye might be on offer. If everything goes as predicted it could lead to a UBC v Ravens semi, a replay of last year's final. The other semi seeing Burnaby host the winner of CW v UVic. Currently liking two scenarios for the final Ravens v CW or UBC v Vikes, but a lot of rugby to play yet. The match times have been moved up (12:15) to allow the Hornets to return to a club function that evening. Ravens resting a number of starters such as Aaron McLelland, Brian Moylett, Grant Crowell but they still have a quality team out there. Nanaimo missing a number of top players as well such as Brad Marshall, Cathal Long, Tuitala Tauaika. Prediction: Ravens by 18. A dominant performance as expected, keeping the Rowers off the score sheet will please coach Scott Manning. CW finish in 4th place and host 5th place UVic in the playoff quarter-finals next weekend. CW looking for the BP win to finish off the season strong, they haven't played since March 23rd and will want to get their timing patterns firing before the QF next week, likely against the high flying Vikes. The Rowers ran into a strong JBAA squad last week and this is their second Island trip in a row. No roster for the Rowers but last game of the season, on the road, in a game that doesn't affect their season outcome - there may be one or two players MIA. CW fully loaded with the exception of Brandon Schellenberger. Prediction: CW by 8. Westshore finish in 7th place to end the season, one out from the playoffs. JBAA finish 8th, VRC 9th, Caps 10th, Nanaimo 11th and Lomas 12th. It was a 6 try to 3 win with Westshore finishing strong. More details in Clancy McDonnell's report. Two teams vying for 7th place in the standings, no playoff entry but bragging rights. Currently Caps #9 and Westshore #10. Rowers at #8 could in theory take that spot but they're playing on the road against a strong CW side so the odds are low. Westshore have come off two close losses in recent weeks, they led Burnaby at the half and lost the Nanaimo game at the whistle. Their rugby is improving and the addition of some young talent like Brock Webster and Tom Isherwood have deepened their attacking options out wide. U20 player Quinn Ngawati in the centres will be a factor in the match. They have their top loose forward Cole Mosychuk back from a 2 game suspension so they're looking good for their last match of the season. Caps at home will want to finish strong, they're missing one of their top attacking weapons, Johnny Franklin, who unfortunately picked up an injury against the Ravens. That may be key as Westshore look to have the advantage out wide. Prediction: Westshore by 2. UBC emphatic in the 10 try to 2 win. They finish 2nd and will host the winner of Ravens v Seattle. #2 hosting #12, UBC's roster show they're not holding anything back but intend to go after that bonus point win to give them a bye in the QF and host a semi in a couple of weeks. UBC haven't seen action since March 23rd so may need to shake some rust off in the first half. In their last match they dominated the Bays 54-13 on the road. The Lomas coming off losses to Burnaby and UVic, the positive news is they led Burnaby at the half last week before Burnaby pulled away. The game is at UBC as well so the home field advantage applies. Prediction: UBC by 14.